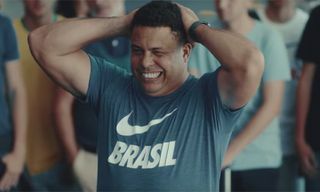 With the World Cup well underway, we’ve had moments of brilliance (Cristiano Ronaldo vs. Spain), controversy (VAR), and shocks (Mexico beating Germany). 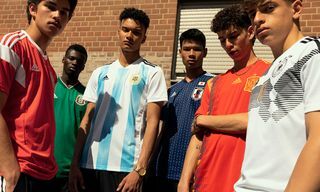 We’ve already ranked the best and worst kits, so we thought we’d stay true to our roots with a ranking from the ground up. 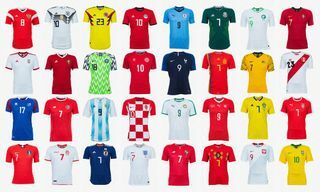 The World Cup is the biggest stage of them all — for players, coaches, nations, and brands especially. 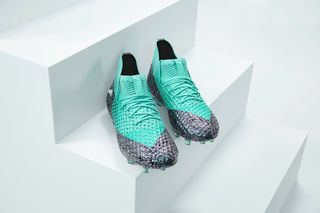 That’s why the likes of PUMA, adidas, Nike, and others put in such enormous efforts to get the most beautiful boot on the feet of the best players as they battle for world supremacy. 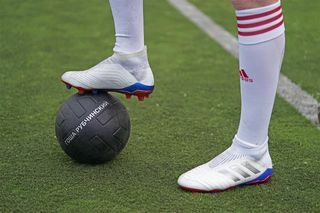 The World Cup always gives us new designs and updated classics in eye-catching colorways, and we’ve put together our ranking of the best football boots tearing up the turf in Russia. 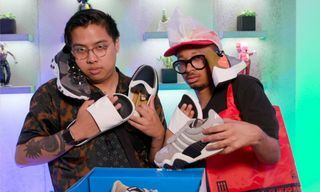 Scroll through our selection below and let us know if we’re missing any in the comments. 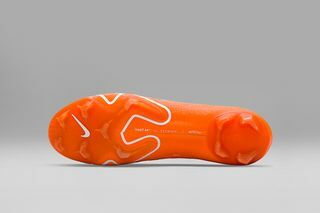 For boot fiends, no World Cup would be complete without a new version of Nike’s Mercurial. In fact, as you’ll find out later in this list, we’ve been treated to more than just one this time around. 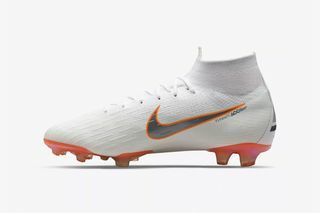 This “Just Do It” colorway sees the boot first made famous by the OG Ronaldo at France ’98 draped in a matte white Flyknit from the ankle to the sole, with a bright orange stud plate and matching Swoosh branding. 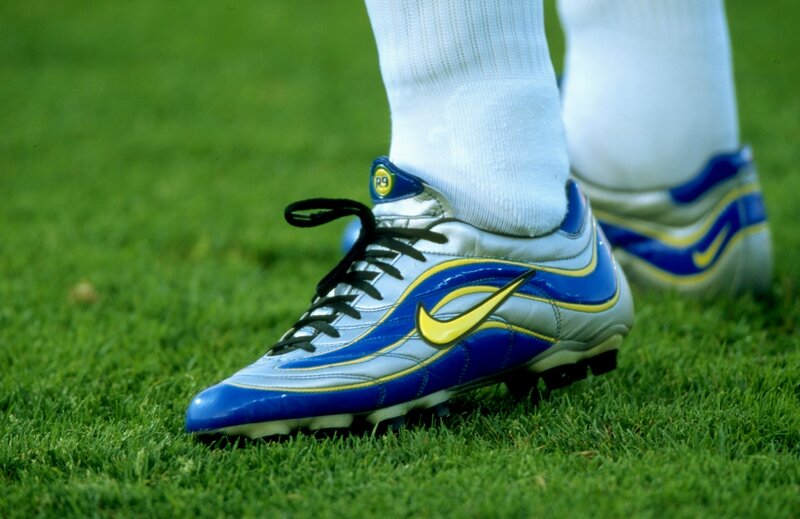 Mizuno is always good for a classy boot. 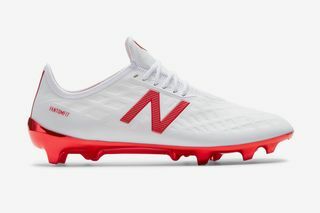 For this year’s World Cup, the Japanese brand has decided to go with an all-red approach. 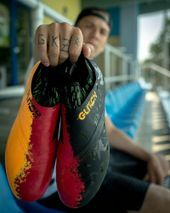 Worn by Japan stars Keisuke Honda and Shinji Okazaki, the “Passion Red” collection comprises the Morelia II, Rebula 2, and Morelia Neo II. 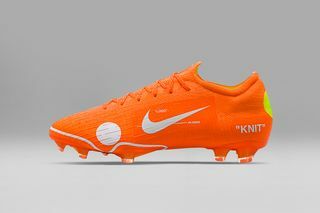 Another Nike boot, another Mercurial. 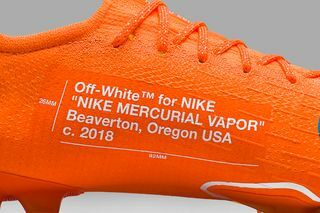 This one is designed by none other than Virgil Abloh. 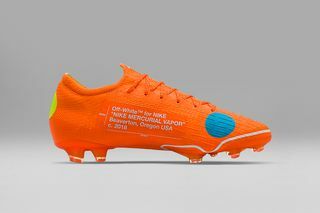 Although never good enough to play in a World Cup himself, Abloh played the game when he was younger. 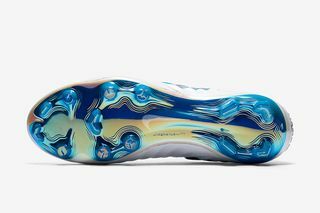 The designer is a big football fan and the sport has formed a big part of his recent work, too. 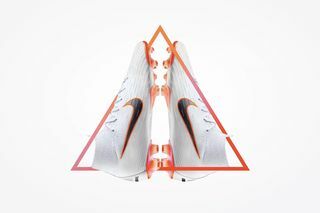 The spots on these boots represent the optimal “strike zone” for hitting the ball. 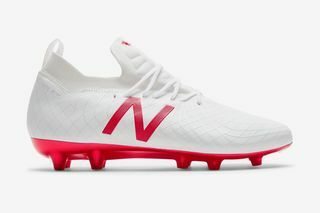 New Balance might not be a household name when it comes to soccer boots, but with its upgraded Tekela and Furon 4.0 silhouettes, the New England brand is definitely knocking on the door. 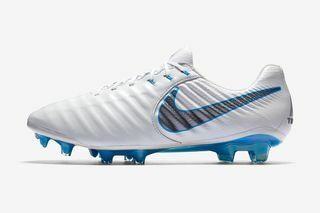 The white and flame red colorway is a nod to the host country’s national colors, combining for a sleek, minimalist look. 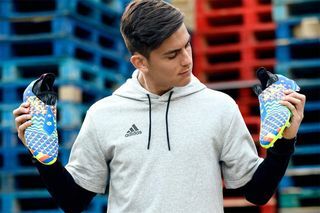 adidas’ first entry on our list and one that’s certain to break necks thanks to its impossible-to-miss color combination, the X 18+ “Energy Mode” is being worn by the likes of Gabriel Jesus and Mohamed Salah in Russia. 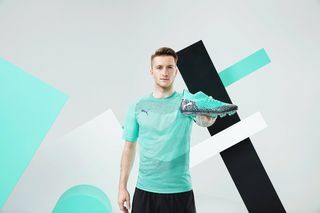 PUMA’s most technologically advanced boot yet, the FUTURE 2.1 is designed to represent the gray matter of the world’s most creative players. 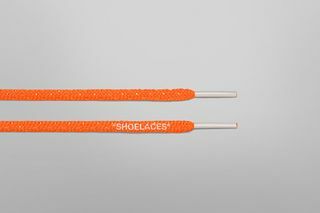 It also has the first truly customizable fit, featuring NETFIT technology, which allows the wearer to lace their boots in any way they want. 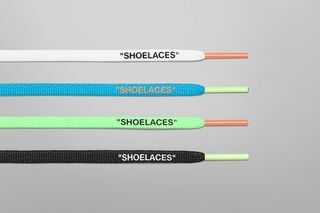 Oh, and the silver/turquoise colorway is pretty nice, too. 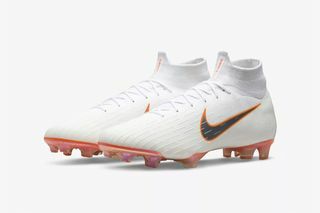 Part of Nike’s “World Cup 2018” pack, this white rendition of the Swoosh’s classic silhouette oozes class, with a clean white upper accentuated by metallic silver and blue finishes. 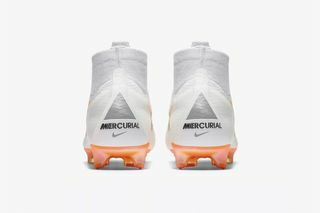 The heel counter contains a triangle with 32 lines, one for each country in the tournament — showing Nike cares about the details even on the most minimalist of designs. 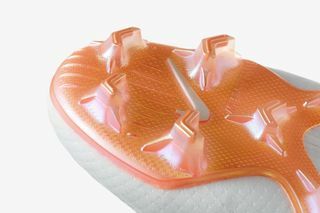 Remember the adidas F50 Tunits? 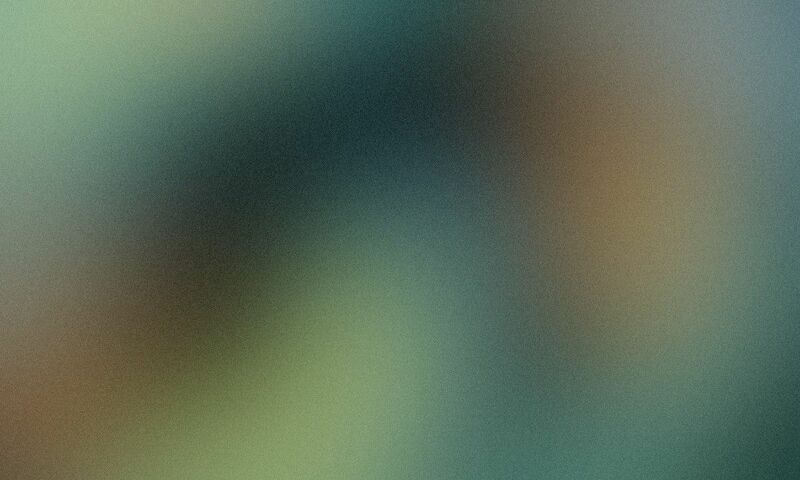 The new Glitch pack is that on steroids. 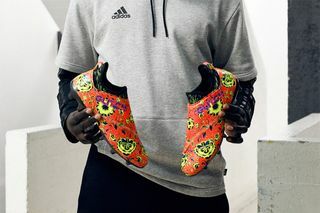 Offering customizable boot skins that mean you only have to buy one pair of boots but can take to the field with a new look every time, adidas has put together this dope pack for the World Cup. 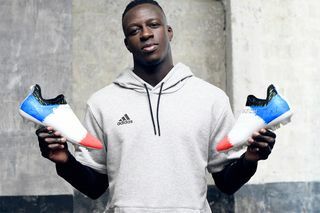 Comprising patriotic skins for players from England, Russia, Germany, and France, the Glitch pack is available via adidas’ Glitch app. 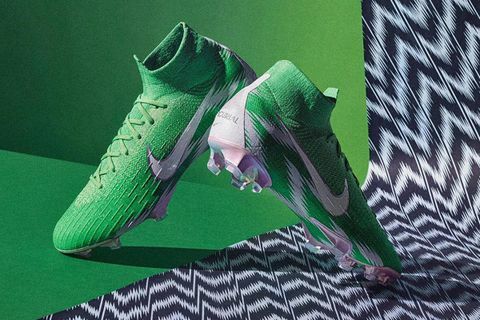 Modeled after the beautiful, record-breaking Nigeria home jersey, this Mercurial 360 is a sight to behold. 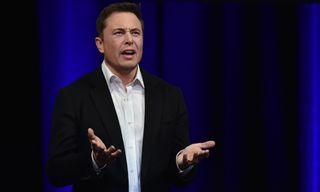 How could we not include this slice of magnificence? 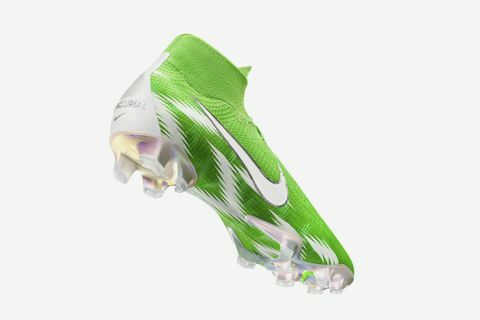 The neon green contrasts perfectly with the hits of white, and we wouldn’t be surprised if this boot is considered a classic down the line. 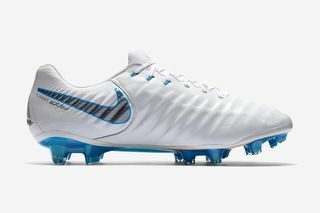 It wouldn’t be a proper ranking without one of the World Cup’s most iconic silhouettes: the Predator. 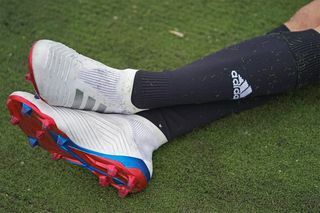 Although the old days of leather adidas Predators are long gone, the new generation is no slouch either and well worthy of the top spot in our ranking. 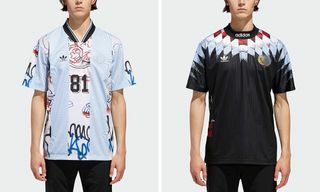 This particular model was designed by Russian designer Gosha Rubchinskiy and is heavily inspired by Russia’s national colors. Next, check out our guide to all 12 World Cup stadiums here.